In June 2000, I interviewed Christopher Johnson at the Hastings Amputee Resettlement Camp in Freetown, Sierra Leone. Though not an amputee himself, Christopher is a war victim resulting from injuries to his spine sustained when an RUF rebel opened fire at him in his residence at Thunder Hill, Kissy, in Freetown on 6 January 1999. Presently, he is paralyzed from the waist downwards and is confined to a wheelchair. He graciously consented to the interview, and in the spirit of resilience, fortitude, and hope, narrated his tragic story. 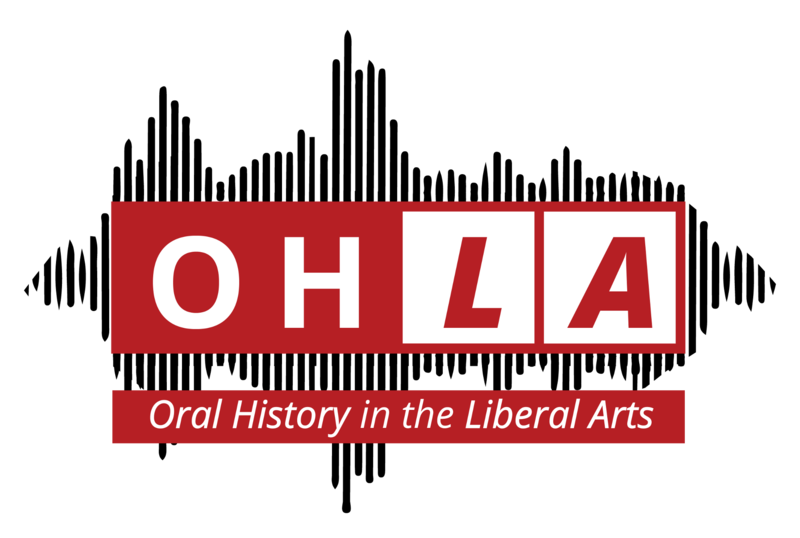 The visual and textual representations of the interview can be accessed in the faculty project archive of OHLA. Krio is an English-based creole language initially spoken by the Creoles of Freetown, Sierra Leone, but which later became the lingua franca of the country. Krio is derived not only from its historical contact with English by virtue of the West African slaves’ encounter with English in the plantations in Britain, the United States, and the West Indies, it also combines a host of other indigenous African languages like Yoruba, Wolof, and Igbo spoken along the West Coast. This combination of a variety of languages, each with their own linguistic and semantic structures, make Krio both reflective of and distinct from English. Since English is the official language in Sierra Leone, the interview was conducted in English. However, with the predominance of Krio, the lingua franca in the country, in communication, the grammatical and semantic influences of Krio on his use of English were prevalent. As a result of these influences, I noticed that the structural and compositional markers of the oral text or spoken word were carried over into the written text as I transcribed the interview in OHMS. Importantly, when the oral text of the interview was uploaded into Popup Archive, significant sections of it were either truncated or wrongly translated. The influence of Krio grammar and syntax created a written text that indicates a mix of two different languages – Krio and English. I concluded that this language situation warrants both a translation and interpretation of the oral text. As Tedlock suggests the question becomes how we move from the oral to the written text and what considerations of speech, text, and dialog do we take into consideration as we traverse this trajectory from the spoken word to the written text? As he further notes, “A story is not a genre like other genres of verbal art, but is more like a complex ceremony in miniature, encompassing aphorisms, public announcements, speeches, prayers, songs, and even other narratives” (3). Tedlock’s assertions alerts us to the fact that the oral text is constitutes multi-genre and allows for possibilities for ideological and theoretical constructs to analyzing the oral text as well as determining the influence of oral history on pedagogy. The process of translation also requires that the “authority of the interviewee’s story” be preserved, since the oral text is his story and the written text should accurately reflect that authority even when compositional and grammatical changes are required to be made to the original text. And so the challenge becomes, how do I maintain the authority of both the oral and written texts without imposing my own narrative or perspective of the interview or situation upon them? Further, I have to be careful in interpreting the oral text to keep in mind what I referred to as the “integrity of the interviewee,” especially in situations of trauma where translators’ disruptions of traumatic memory could constitute disrespect and violence to the interviews story or history. In such situations, translators could further dehumanize or objectify survivors of horrific experiences as the carnage of civil wars. In this regard, Tedlock warns us of the difficulty if not impossibility of direct translation from the oral into the written. He writes, “But before we consent to a transcription of the audible text, it must be cautioned that no score can ever be so detailed and precise s to provide for the re-creation of the full sound of the tape. The audible text will remain the primary document, suggesting revisions of the dictated texts of the past and providing the basis for any number of future transcriptions or translations of its own content” (5-6). Accordingly, in this article, I will examine both paradigms of the transcription process citing examples from the oral text. In this way I hope to show the complexity of moving from orality to the written text and the complications of working with, in my characterization, the “textual idiosyncrasies” that sharply define both mediums of communication, but, at times, threaten to be contrasting and conflicting. I will explore these issues using four critical frames: the interconnections between text, speech, and dialog; language and speech processing; structural and compositional influences of the vernacular language on the oral text and implication for translation; and the impact of text analysis on oral history methodology and pedagogy in the classroom. In my exploration of these frames, I will situate aspects of my analysis within the theoretical framework of orality and transcription offered by Dennis Tedlock in his work The Spoken Word and the Work of Interpretation. For the most part, direct observation, close reading, and linguistic and textual analysis of the oral text will shape my critical framework for analysis. I want to begin with the connections between speech, text, and dialog in the process of transcription. Given the fact that the original text is in the oral form, I will focus on speech and highlight the challenges of transforming it into the written text. A critical feature of speech is repetition for emphasis. As such, during the narration of the story, the storyteller can bring up parts of the story previously narrated to emphasize the significance of a point or to ensure thematic coherence and structural unity. At times, repetition in orality takes the form of repeated syntactic structures as diction, phrases, and sentences that though permissible in the oral text would be ungrammatical in the written form. The repetition of the subject without identifying it is also shown in the repeated structures, “They will help us.” In this instance, both the subject and the receiver of the action remain unidentified. Further, the repetition of “life is not easy” and “it is really not easy” warrants interpretation within a cultural context for accuracy and comprehension. In the culture of Sierra Leone, and certainly from the grammatical construction of Krio, the phrase “not easy” goes beyond the English equivalent in translation, “difficulty.” In tis context, “life is not easy” illustrates a broader semantic appeal – the difficulty is systemic, oppressive, and unjust, with the implication that it must be uprooted. In the context of Sierra Leone, the repetition demonstrates one of the main causes of the civil war – a systemic oppression of the masses that resulted in violent revolution. How the translator or transcriber conveys this in the written text is one of the challenges I was faced with throughout the process. Another aspect of orality is the use of pauses in narration. Pauses are effective markers of reflection. They allow the significance of a moment to be digested and hence appreciated. They heighten drama and indicate mood. In a verbatim transcription, they could impede comprehension by distracting the reader and forcing them to lose their thoughts, especially when some words after the pause are omitted. For example, in talking about the conditions of life in the amputee camp, Christopher said, “it will come to a time when [pause] life will be difficult.” If transcribed verbatim, the reader would not be sure whether the difficulty of life is a direct consequence of a particular time he wanted to talk about or whether that difficulty stems from something else. The pause interrupts the flow of thought of the interviewee and disrupts the meaning of the sentence. It is also important to bear in mind that a critical aspect of the interview process is dialog between interviewer and interviewee. While the written text could provide indications of who is speaking and when by referencing the name of speaker and order of speaking in the text, it omits the non-verbal aspects of communication as body language, physical gestures, and eye contact. While the pause impede meaning in the written text by revealing the gaps in speaker thoughts, the gap is filled by the body language or physical gesture of the speaker in the oral process of communication. In the oral form, body language brings out “speaker integrity” as he interviewee demonstrates pain, anxiety, shame, guilt, resilience, hope, and other feelings associated with traumatic memory. In the written form these emotive markers of communication are lost. The influence of the vernacular language on the speaker’s composition and expression of his narrative is also critical to oral history methodology in the process of transcription. I will discuss this aspect of my paper under three main headings: tense, sentence construction, and diction. Under tense I will cite the following examples: “by what they came and saw,” “I just do just a year,” “life make it worst for me,” “that result to my paralysis,” and “they negotiate with government.” While the contextual meanings of such sentences are not lost on the reader, in the written text they are ungrammatical and unacceptable. Again the challenge I faced was whether to convert these sentences to Standard English in terms of tense markers or to transcribe verbatim and maintain interviewee integrity. I will bring this section of my article to an end by citing one example of the speaker’s use of diction. In talking about the need for medical assistance in the camp, Christopher said, “We are in dying need of help” instead of “We are in dire need of help.” Though this indicates wrong choice and use of word, I wonder whether the choice of “dying” is not a brilliant case of substitution, where the absence of medical facilities is the reason for the dire situation – they are dying. Two other examples of sentence construction in the interview are: “People are there having things that you think will help us,” and “We have help that we want you to help us in this place.” In the first example, the absence of the comma after “things’ distorts meaning. With the comma the sentence expresses two main thoughts – “There are people with the resources to help us,” and “With the resources they have one expects them to help.” In the cultural context of this construction, the reverse is actually suggested for the implication is that people with the resources are not helping. In the second sentence structure, the word “help” is repeated. The meanings of the two usages are different. The first “help” refers to “need,” while the second means “assistance.” However, there is the omission of “with” between the pronoun “us” and the preposition “in.” The fragment should read “We want you to help us with in this place.” In the main, Tedlock has this to say about grammar and syntax in the process of translation: “We may determine the punctuation of our text by the deciphering eye, which will seek out patterns of syntax, but if we listen again we may discover that the “commas” and “periods” and “question marks” of the speaking voice, as signaled by pitch contours and stresses, may not obey the rules worked out by the deciphering eye. Linguists have observed that “good syntax” is more likely to be obtained in dictation than in continuous discourse…” (6-7). I will conclude this article with a discussion of the connections between text analysis and oral history pedagogy in the classroom. So far my exposition on the transcription of the oral to the written text provides abundant examples on differences between the two mediums of communication in terms of grammar and composition. As teacher of English, such an exposition provides instructional materials to engage grammatical features of tense, use of words, sentence structure, grammatical expressions, and style. From these topics, class activities could be constructed. These activities would allow for incorporating oral history methodology into the teaching or pedagogy of English grammar. It seems to me that a teacher of English need not be an oral historian for them to incorporate oral history methodology into their pedagogy or for oral history methodology to be of use in shaping their pedagogy on language. Classroom activities also include class assessment and evaluation. Instructors could divide the class into three or four groups and assign each group one of the aforementioned tasks. After engaging in group discussions for a specific time, the groups would choose one of their members to make an oral presentation to the class on their group’s findings. The oral presentation would constitute a certain percentage of the final grade. In addition, a homework assignment could be given to all groups to either collaboratively do a powerpoint presentation of their findings or a write-up of a certain length. The instructor would determine the number of slides in the powerpoint that the group is required to have and could also request additional information as incorporating media (links, video, podcast) into the slides. For the essay, the instructor could turn the assignment into a research project or long paper and could request students’ use of specific peer reviewed articles, books, or journals. In essence the class would have collaboratively worked on a research project by working on drafts from the group discussion stage, the in-class presentations, to the research or long paper. The instructor then assesses the students’ projects by assigning specific points to each stage of the process. Oral history methodology allows for discussions of the literariness of the oral and written text, analysis of its linguistic features, and engaging with its compositional (writing) process. It provides a basis for language teaching and learning, designing of classroom activities, developing them into larger assessment units, and evaluating such units sing specific rubrics. In conclusion, it is my hope that this article has illustrated the complexities of translation, its constraints, as well as its possibilities for language pedagogy. While a good part of this article highlights the complications of the interview process, the difficulties of transcriptions, and task of preserving the authority and integrity of texts and speaker, the process is a valid one. Tedlock’s assertion is a fitting one to this article as teachers of English consider using oral history methodology in their classrooms, and of engaging in the task of moving from speech to the written text: “What we have, then, is the possibility of a performable translation. There may be any number of differences between languages, cultures, genres, or individual artists in the economy of means employed in the enactment of a story, but the attempt is well worth the effort” (13). Tedlock, Dennis. Conduct and Communication. The Spoken Word and the Work of Interpretation. Philadelphia: University of Pennsylvania Press, 1983. Ernest Cole is Associate Professor of English at Hope College. He is interested in using oral histories of amputees of the Sierra Leone civil war between 1991 and 2002 to explore stigma, trauma and reconciliation in post-war Sierra Leone. 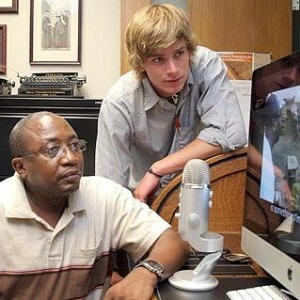 He is primarily interested in using oral history in curricular development for team teachers, and integrating undergraduate students in the Mellon Scholars program at Hope College and the New Media Studio at the Hope College Van Wylen Library into the project. In this way, he would utilize the facilities available in his institution to digitize data already collected and create an archive that would showcase the pedagogical value of practice, process, scholarship, and publishing.